SHRINK OF THE DEAD: Renowned professor's novel approaches Zombies from the shocking point-of-view of science and probability. 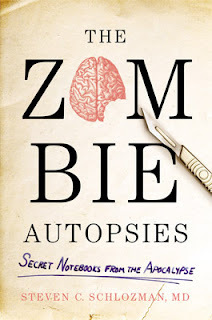 A new book about to hit bookstores on March 25th, 'The Zombie Autopsies: Secret Notebooks from the Apocalypse,' takes a scientifically- and medically-grounded look at the neuropsychology of zombies. So it appears that there is a practical reason why the walking dead thirst for "BRAINS!" after all. Penned by Dr. Steven C. Schlozman, an assistant professor of psychiatry at Harvard Medical School -- and an all-around zombie enthusiast --the book takes a unique look at zombies through the lens of reality and medical science, thus turning it into an immediately frightening experience since alas our final emotional defense mechanism -- "This isn't real" -- is completely stripped away from our arsenal at the outset; the makings for both a compelling premise and intriguingly gory read. Today we have a fun and informative book teaser that sets the working parameters of the mythology that is sure to send a cold chill up your spine (that is unless the living dead haven't already removed it for use as a sippy-straw). 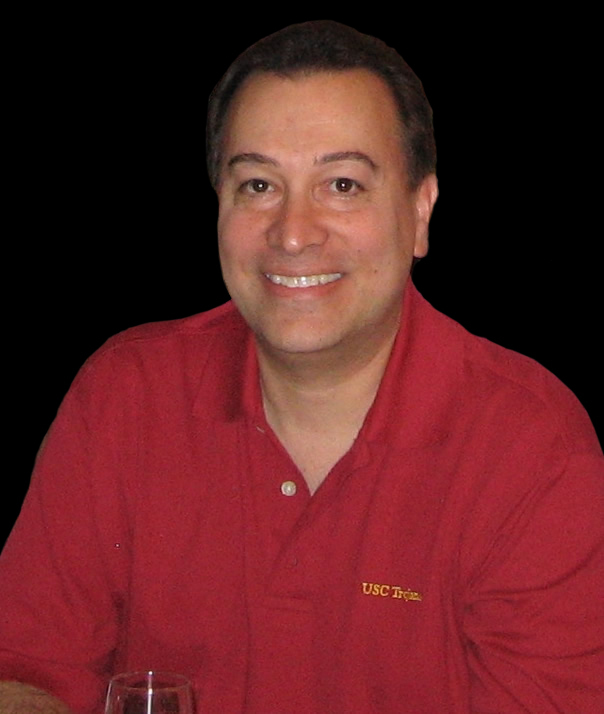 The teaser was shot by New York-based filmmaker Hugo Pérez. 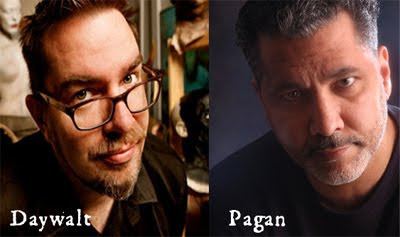 On March 25th, LATIN HORROR will bring you a full book review of 'Zombie Autopsies,' the book's exciting full trailer, and comprehensive interviews with both Dr. Schlozmanand and Hugo Pérez. 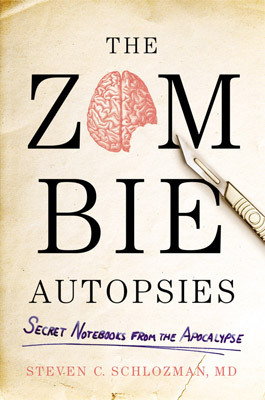 Zombie Autopsies is published by Grand Central Publishing and will have a retail price of $19.99. As you may already know, I was busy in pre-production and production on the short, indie horror film, The Talisman, written by short horror film guru Drew Daywalt, and directed and photographed by yours truly. And while the experience of working on my first narrative film as a director after so many years of working as a cinematographer on the creations of others was an amazing experience, I also felt that LATIN HORROR was somewhat neglected over that same period. SO, I wanted to personally vow to all our subscribers with a public pledge to re-double our efforts in bringing you the best content from both the genre of Latin horror and world of horror as a whole, as well as one-on-one, in-depth interviews with the horror projects and creators you wish to know more about. And boy do we have some horrific line-ups in the queue in store for you! Look out for his many ongoing contributions in the months and years to follow, along with his fellow LH staff, Gary Deocampo and Irene Villalobos. "A nomadic drifter is contracted by a hideous creature to deliver a sacred key - The Talisman - to an abandoned warehouse where he encounters an eternal, evil force that reveals his fateful destiny." The production was a 2-day affair working off Daywalt's fantastic script - a lean and mean 5-pager. The film was shot entirely in New York City, including Jimmy's No. 43, Stone Street (in NYC's financial district), and at Digital Laundry Studios in Harlem. The production stars Ross Beshear, Adela Maria Bolet, and Paul Bosche. The film will begin making its festival and broadcast route summer of 2011. A nomadic drifter is contracted by a hideous creature to deliver a sacred key - The Talisman - to an abandoned warehouse where he encounters an eternal, evil force that reveals his fateful destiny. ED: Mid-20's, 30’s. A handsomely rugged, rocker type. A silent charmer with eyes that belie his fierce killer instincts. CREATURE: A dark figure underneath a dark hood. A hideous, unspeakable abomination of a face with unblinking [dead] eyes. Will undergo extensive special effects makeup. OLD WOMAN: 50s, 60s. Exotic features, Latin or Gypsy-like in appearance. 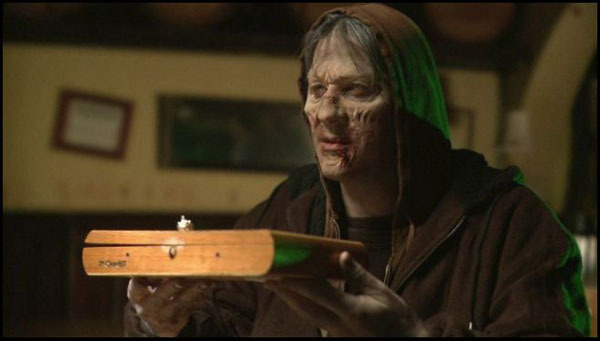 Will undergo extensive special effects makeup in the realm of the film "Drag Me To Hell." Innate foreign accent or ability to convincingly execute one a plus. Working from a screenplay written by cult, short horror film master Drew Daywalt. Directed by Edwin Pagán. Produced by Leonardo Rodriguez and Edwin Pagán. Shooting dates: weekend of February 5th OR February 12th (Saturday and Sunday) and potentially the following Monday after selected weekend. Casting Date: Friday January 14th, starting at 1:00pm. Script sides and casting location provided to talent selected to audition. Shooting Location: New York City.